The Christie and Walther Communications' 1st Annual Enterprise Communications Conference was well attended by the Public and Private sector of Eastern Ontario. The announcement of their new PushPlus 25 site Network as well as a competitive offer of a free digital upgrade, generated excitement throughout the conference. The BEYOND DIGITAL: ARE YOU READY? conference successfully hosted breakout sessions geared to specific verticals, such as: Public Safety, Government, Construction, Transportation, Utilities, Distracted Driving, and Manufacturing. In addition to the vendor partner participation of Motorola, Christie and Walther Communications further cemented their relationship with Huawei by featuring their new Huawei's eSpace enterprise product line. Christie and Walther closed the event with a ceremonial cake cutting in honour of their 50th anniversary. MP Royal Galipeau, Mayor Jim Watson, Councillor Tim Tierney, and Councillor Marianne Wilkinson were all in attendance. MP Royal Galipeau presented Charles Walther of Christie and Walther with a certificate in honour of their Golden Jubilee. 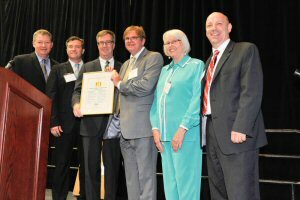 Mayor Jim Watson also presented a certificate on behalf of the City of Ottawa. "As we celebrate our 50th year in business we continue to look forward in providing increased value to our customers. Our partnership with Huawei increases the breadth of solutions we offer and our PushPlus Network launch provides for the first time a no-capital outlay for customers while delivering best-in-class coverage, call quality and capacity of any network airtime solution available in the market," said Joseph Hickey, Vice President, Sales and Marketing at Christie and Walther Communications. For more information about Christie and Walther Communications, visit www.cwcom.com. To view the photo associated with this press release, please visit the following link: http://www.marketwire.com/library/20120914-push1.jpg. 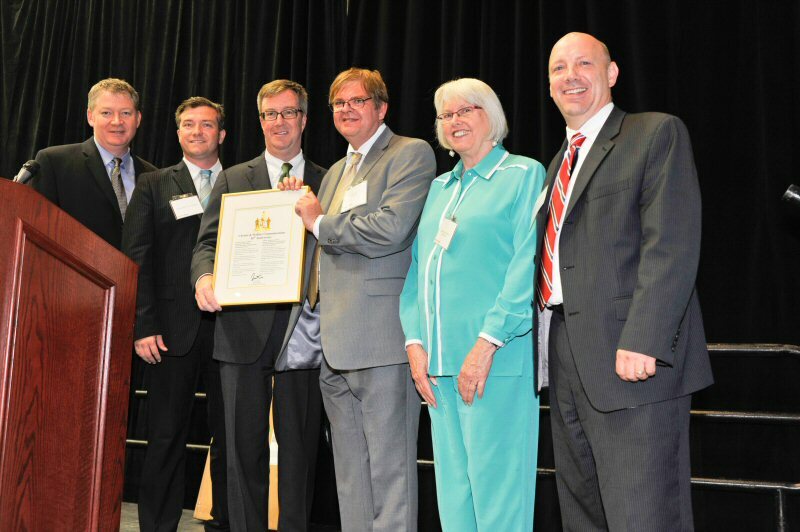 Ottawa Mayor Jim Watson presents Charles Walther a framed letter commemorating Christie and Walther Communications 50th anniversary (featuring Sal LoSchiavo, Councillor Tim Tierney, Mayor Jim Watson, Charles Walther, Councillor Marianne Wilkinson, and Joseph Hickey).